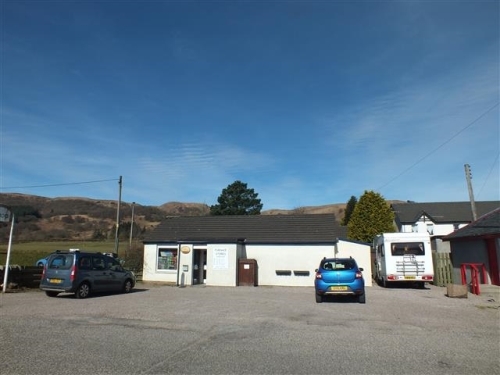 Bruce & Co. are pleased to introduce to the market The Village Store and Post Office, a popular and well-supported local store situated in the Argyll village of Furnace. The business has been under the very caring ownership of our clients for over 15 years and has reluctantly been offered for sale due to their impending wish to retire. 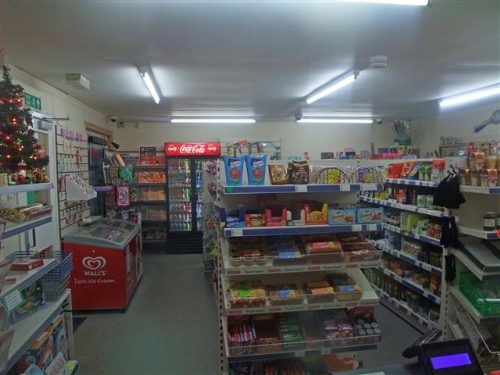 The store stocks a selection of general grocery and convenience items, cigarettes, alcohol and household items as well as offering post office. The business trades successfully with a good turnover and an enviable loyal customer base. The majority of custom received is repeat business from local residents as the store is heavily relied upon and well supported by the local community however, revenue is derived from tourists visiting/passing by this popular area. Furnace is a small community-spirited village on the shores of Loch Fyne. Very family orientated with a primary school, community hall, doctor and dentist surgery and many local clubs and activities to join in. Located 8 miles south of Inveraray which is a vibrant historic town. The much sought after town of Inveraray, Home of the Duke of Argyll, is situated approximately 1 hour west of Glasgow Airport and 45 minutes south of Oban. The property is conveniently located a short distance from the thriving main shopping area. 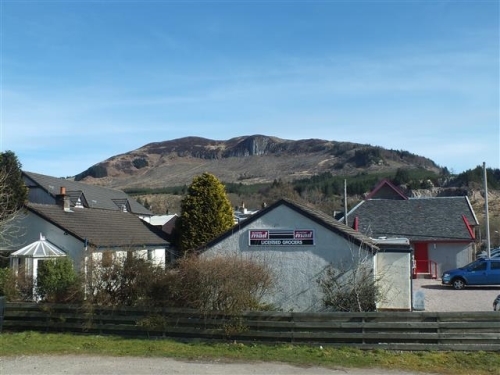 The town of Inveraray has the benefit of a primary school, 2 banks, 9 hole golf course, a variety of shops, leisure club with swimming pool and spa. Inveraray has many places to eat and drink. The business premises occupy a relatively modern purpose built detached property. 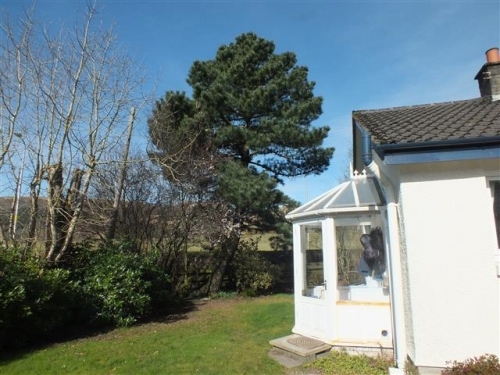 The property is presented in excellent condition and has been extremely well maintained by the current owners. On entering the shop, the customer service counter is located to the right hand side and runs full width of the shop. The shop is well designed with functional shelving and display stands which create 3 shopping aisles and the post office service counter is located at the main service counter. There are staff WC facilities located behind the service counter and a substantial storage area located to the right hand side of the shop floor. The owner’s accommodation is a particularly attractive aspect of this sale as owners are extremely well catered for at The Village Store. The private accommodation is presented beautifully throughout and enjoys stunning and unique views across the coastline and surrounding countryside in almost every room of the property. The accommodation features a large living room, kitchen, 3 bedrooms and bathroom. Parking directly outside. The Bungalow has gardens to the front and the rear. Full trading figures will be made available after a formal viewing has taken place. 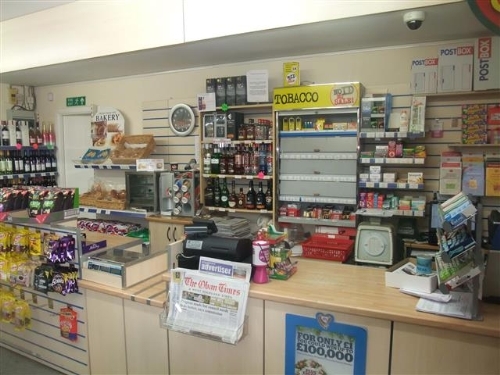 The Village Store and Post Office presents an exciting lifestyle opportunity to purchase a successful, well-established business with excellent customer base. The business is presented in excellent condition and includes a beautiful family home. Early viewing of this rarely available business type essential! Strictly, by appointment through the sellers’ sole agents, Bruce & Company. Please remember when viewing that staff and locals may not be aware that the business is on the market and we would be grateful if you do not talk openly about the business while in the area. Should you require further information on this or any other property, please do not hesitate to contact us on 0131 314 0660. Copyright © 2013. - Altius Group.